Save $125 when you schedule an online appointment today! Request a Free Flooring Estimate! Our free estimate includes transparent, no-nonsense pricing. Get $125 discount when you schedule your flooring estimate online. Don't let our name fool you! Along with carpet, we offer hardwood, laminate and tile flooring for both residential and commercial. 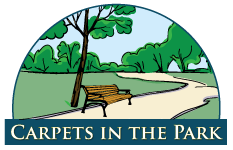 You can save up to $200 on your next purchase with Carpets in the Park. Get a discount today with one of our coupons. In need of new flooring, but need financing? We can help. Carpets in the Park is a family-owned professional flooring company serving the Chicago area for over 30 years. Quality flooring products, an excellent service record, and affordable prices are the cornerstones of our company, which have earned our customers' trust and loyalty for over our decades in business. We offer quality flooring from the top brands. We install carpets, hardwood, laminate floor, and vinyl flooring. Our professional installation services have been trusted by thousands of customers over the past 30 years. Our installers are experienced and highly skilled professionals who do the job right the first time. Whether you are looking for residential or commercial flooring installations, we are your one-stop resource to meet all your needs. We specialize in more than carpet and hardwood—we're also experts in luxury vinyl and ceramic tile. Our regional flooring services cater to Chicago and the surrounding suburbs. We have an A+ Rating with the Better Business Bureau, an A Rating with Angie’s List, and we have a 5 Star rating on HOME ADVISER. 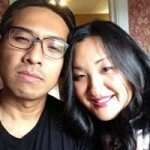 My husband and were very impressed with this company. We had a pipe burst that required our floors to be replaced. We called several vendors and Joe was by far the most responsive and professional. His team was professional and prompt. We would recommend them to anyone and would use them again. We love the floors and our guests have all commented on how gorgeous they are. I’m sending you this letter today Mr. Taylor to tell you how happy I am with the installation of my Hardwood floors. They are so beautiful, as you said they would be. My Living Room and Dining Room have been transposed to real elegant beauty. The Kitchen Laminate tile looks fantastic! It really looks like stone. You were right on with the color, it matches my counter tops while complementing my cabinets. Joe, you were just wonderful. Thank you so much. It was a pleasure working with you. Your PROMPT SERVICE and GOOD PRICING is just what we needed. Your QUALITY was better than the competition and your price was very pleasing. Your installers were just great. I know my home will sell faster now with the new carpeting. Don’t settle for less. We offer the highest quality products at affordable prices. Request a free no-obligations flooring estimate now.